Having suffered with my Asthma for longer than I care to remember, it was my local GP who suggested that I try visiting a salt cave. I was more than a little sceptical to be honest given that I had never even heard of salt therapy previously. However with Little Himalaya offering free initial sessions at their brand new salt cave in Kenilworth, I thought it can’t hurt to try…and to be honest I was pretty intrigued and curious about this supposed alternative therapy. Having had a batch of 5 sessions at the Kenilworth salt cave, I can honestly put my hand on heart and say that I think the salt therapy treatments have had a noticeable effect on my Asthma. My symptoms are far less frequent than they were and I even noticed the benefit after a single session. However the real effects come with prolonged usage. I plan to sign up for another batch of sessions shortly. I am now a firm believer in salt therapy! Thank you Little Himalaya! It took me 50 years to find something that helps my asthma. Brilliant. I am going to enjoy life at last. I am a long term sufferer of Asthma, not to mention have numerous allergies and other breathing issues too. The improvement I have noticed since attending weekly sessions at my local salt rooms is clear to me and everyone who knows me. Salt therapy really does work people. 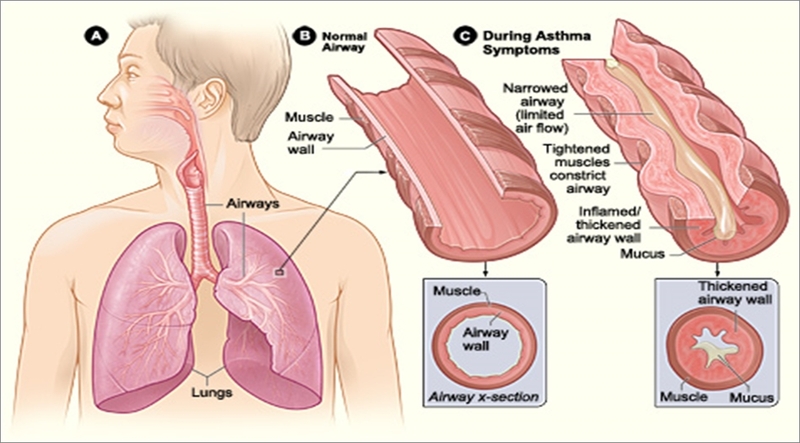 My partner and I both suffer with Asthma that ranges in severity from mild to severe depending on a variety of factors. We are both finding that since attending Little Himalaya over the last couple of months, that our symptoms seem to now only reside firmly in the ‘mild’ category. My breathing is noticeably better and I don’t feel constantly attached to my inhaler any more. I think salt therapy is working for me. I’ve tried anything and everything to help my Asthma over the last few years. Nothing has come close to salt therapy in terms of actually ‘doing something’. I believe that it’s working and I will have no hesitation in booking further sessions. Thank you Little Himalaya, my Athsma finally seems to be improving after years of suffering. I can almost feel the salt helping. I have family members who have Athsma too and I have told them to give it a go as I am sure they will see the benefits too. I have suffered from asthma for my entire life time……inhalers every day, all that sort of thing. My mum told me about the new salt rooms in Kenilworth and thought I’d give it a go. They tested my peak flow for me before my first session and it was below 300 (I’ve tested plenty of times before with similar results so I trust the equipment they use). Around 15 sessions and now the readings are regularly coming in at 400+…..never managed that in all the times I’ve been testing before. In my mind that is absolute, solid, REAL evidence that the salt therapy is working. I know it is even without the readings anyway- my inhaler sees action far less frequently than before and I’ve even been able to start running a bit in the evenings, something I’ve always wanted to do but never been able to to due to the Asthma. 10 out of 10 for salt therapy in my book. I’ve attended hospital on more than one occasion due to the severity of my Asthma. It really can be that bad and gets in the way of life in so many ways….its incredibly infuriating. Have been attending salt therapy for a few months and can honestly say that my symptoms are improved. Certainly no hospital visits and I seem to have a lot more energy and general get-up-and-go. My lung capacity seems to be better too based on my recent swimming pool trips. Would very much recommend to anyone. Ten out of ten. Wonderful, relaxing place to enjoy a stress-free 45 minutes, My Asthma symptoms are noticeably better having had a number of sessions here over recent months. I vaguely remember reading something about salt caves a couple of years ago, but never gave it any more thought until my sister told me about a salt cave that she’d visited on holiday. She seemed to think it helped calm down her air ways, so when Little Himalaya opened their salt room I thought I may as well give it a go. I have to say I was very sceptical before hand, but I actually ended up thoroughly enjoying the experience. My Asthma wasn’t as bad in the days after either, whether that was due to the salt or not is obviously hard to say at this stage. An enjoyable experience for sure.